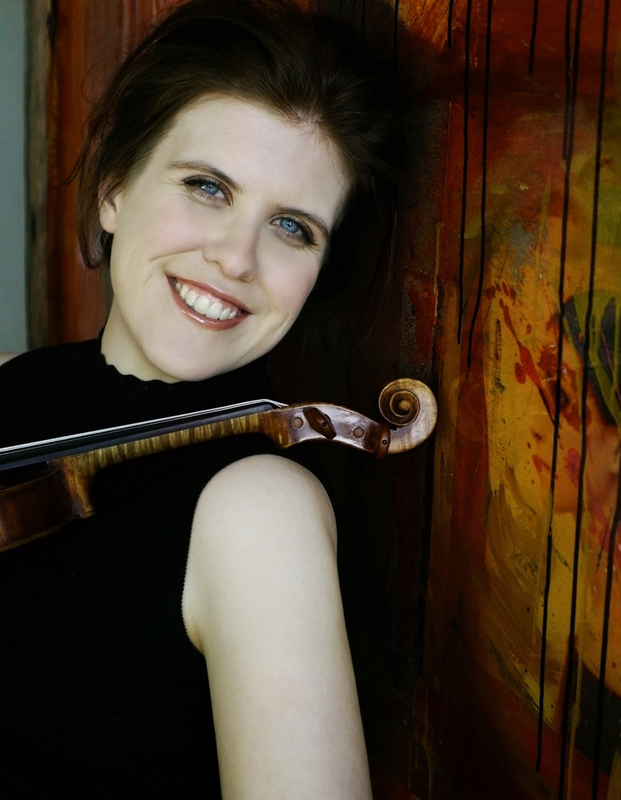 St. Paul, Minn. – Minnesota Orchestra’s Concertmaster Erin Keefe joins the Macalester Orchestra, under the direction of Mark Mandarano, for their spring concert. Keefe will perform two pieces with the orchestra: Camille Saint-Saëns’ popular Introduction and Rondo Capriccioso in A minor written in 1863, and Richard Wagner’s Träume (Dreams), originally written for female voice and piano before he produced a fully orchestrated version in 1857. The concert is 8 p.m., Friday, May 3 in Mairs Concert Hall, Janet Wallace Fine Arts Center & Gallery, 1600 Grand Ave., St. Paul, Minn., and is free. Call 651-696-6808 or email rhest@macalester.edu for more information. The Macalester Orchestra will perform American composer William Schuman’s New England Triptych based on hymns from the American Colonial period, and Felix Mendelssohn’s Reformation Symphony. American violinist Erin Keefe has been hailed as an “impressive violin soloist” by The New York Times. Recently named Concertmaster of the Minnesota Orchestra, she was awarded an Avery Fisher Career Grant in 2006, and a 2009 Pro Musicis International Award in addition to winning several other international competitions. Keefe has appeared in recent seasons as soloist with orchestras such as the New Mexico Symphony, the New York City Ballet Orchestra, the Korean Symphony Orchestra, Amadeus Chamber Orchestra, the Sendai Philharmonic, and the Gottingen Symphony Orchestra, and has given recitals throughout in the United States, Austria, Germany, Korea, Poland, Japan and Denmark. In January 2010, Keefe released her first solo cd including works by Mendelssohn, Schumann and Ravel. Her festival appearances have included the Marlboro Music Festival, Music@Menlo, Music from Angel Fire, Ravinia and the Seattle, OK Mozart, Mimir, Music in the Vineyards and Bridgehampton Chamber Music Festivals. Conductor Mark Mandarano is in his first year as Director of Instrumental Music at Macalester College. He has previously conducted performances at Carnegie Hall, Lincoln Center, and the Kennedy Center and abroad with such orchestras as the National Symphony, the Los Angeles Philharmonic, the Moscow Chamber Orchestra, the Pacific Symphony and the American Symphony Orchestra. He is currently the Artistic Director of the Sinfonietta of Riverdale in New York City.